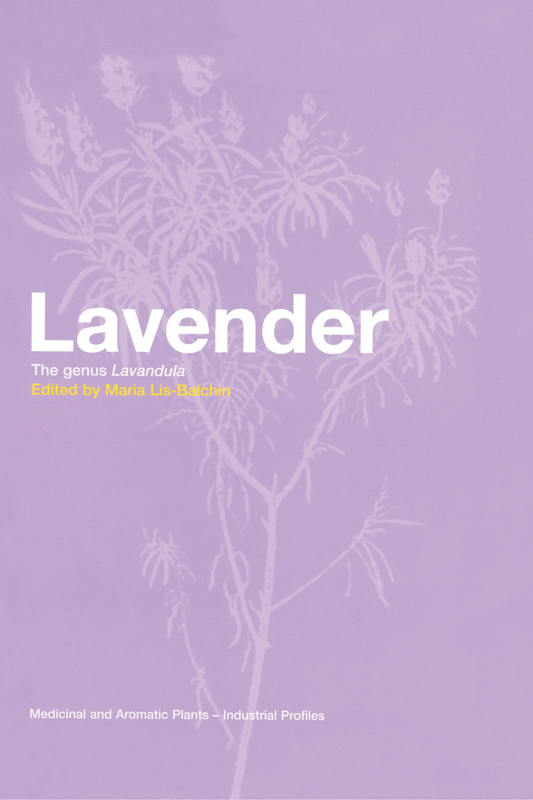 With contributions from lavender researchers worldwide, this book will be of interest both to graduate students and scientists in academia and industry who are involved with lavender, to professionals in the lavender growing and retail industry, the perfumery, food and cosmetics industries, and to those interested in lavender for alternative and conventional medical use. General Introduction. The Taxonomy of Lavandula. History and Usage of Lavandula Species. History of Nomenclature of Lavandula Species, Hybrids and Cultivars. Lavender Growing in England for Essential Oil Production. The Retail Lavender Nursery. Lavender Growing in Australia. Naming and Misnaming of Lavender Cultivars. Phytochemistry of the genus Lavandula. Distillation of the Lavender Type Oils: Theory and Practice. Lavender Essential Oil: Standardization, ISO; Adulteration and its Detection using GC, Enantiomeric Columns and Bioactivity. Lavender Oil and its Therapeutic Properties. Pharmacology of Lavandula Essential Oils and Extracts in vitro and in vivo. The Psychological Effects of Lavender. Antimicrobial Properties of Lavender Volatile Oil. Lavender Oil and its Use in Aromatherapy. Perfumery Uses of Lavender and Lavendin Oils. Miscellaneous Uses of Lavender and Lavender Oil: Use in Hair Products, Food Flavoring, Tissanes, Herbal Pillows and Medicinal Products. New Research into Lavandula Species Hybrids and Cultivars. Further Research into Lavandula Species Cell Cultures of L. vera and Rosmarinic Acid Production. Lavandula x heterophylla and L. x allardii: A Puzzling Complex. Comparative Study of Essential Oil Quantity and Composition from Ten Cultivars of Organically Grown Lavender and Lavendin. Chemical Profiles of Lavender Oils and Pharmacology. Chemical Composition of Essential Oils from Different Species, Hybrids and Cultivars of Lavandula.